Sharona Hoffman, a specialist in health law, will explain what preparations you can make now to spare you headaches later. As a professor of law and bioethics at Case Western Reserve University, Sharona Hoffman already knew more about the challenges of growing older than the typical person. But her professional knowledge became personal when her parents passed away. 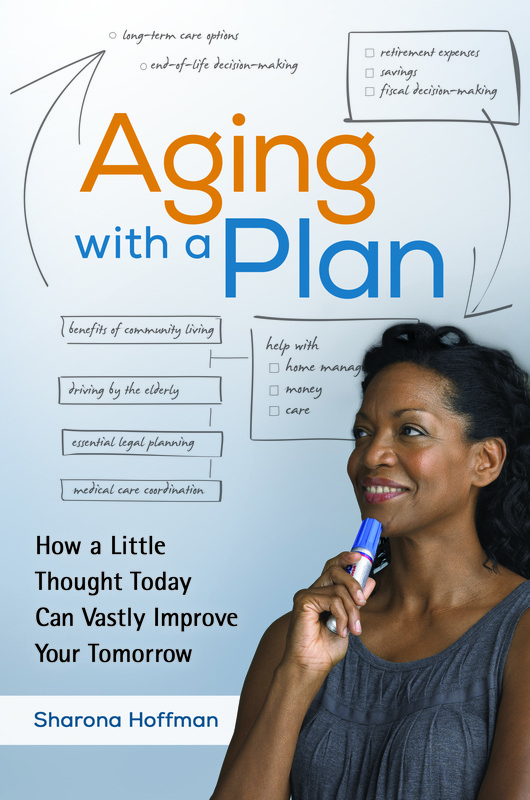 Hoffman used her personal experiences and professional expertise to write Aging with a Plan: How a Little Thought Today Can Vastly Improve Your Tomorrow. She will discuss her book during a free talk at 6 p.m. Thursday, Aug. 25, at our Main Branch. She’ll also offer vital advice on aging preparedness—that is, how to make sure that getting old doesn’t take you by surprise. Her talk is free and open to everyone. However, we ask that you register beforehand. You can sign up online or by calling us at (440) 255-8811 ext. 241. This entry was posted in Uncategorized and tagged aging with a plan, Mentor Public Library, Ohio authors, Sharona Hoffman. Bookmark the permalink.